#release: Keen Decision Systems closes series A investment with Spring Mountain Capital to accelerate adoption of its #marketinganalytics platform that ties marketing investments to financial impact. 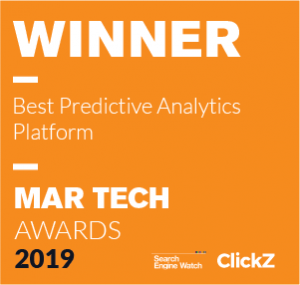 NEW YORK (March 22, 2019) – Keen Decision Systems captured the award for Best Predictive Analytics Platform in ClickZ’s 2019 Marketing Technology Awards, announced at an event held March 21 at Tribeca Rooftop in New York City. 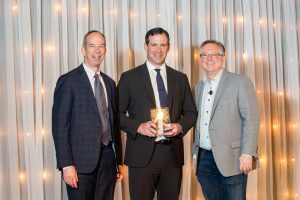 Keen was among more than 500 companies in the burgeoning martech sector to enter; it was a first-time win for the unified marketing metrics and optimization provider. Review the full list of winners here. “It used to be that strategy, skill and creativity were the bulk of marketing success. Now, technology is at the core. Companies not investing in the right technologies — or investing in the wrong ones — struggle to keep up with rising customer expectations,” according to ClickZ’s awards website. According to ClickZ, marketing departments now spend more on technology than on people. Gartner estimates that in 2018 marketers spent 29 percent of their marketing budgets (up from 22 percent in 2017) on martech. Staffing, on the other hand, accounted for just 24 percent of budget (down from 27 percent in 2017) . The awards event will be hosted by Scott Brinker (chiefmartec.com). Award winners are determined by a combination of customer voting and the evaluations of a panel of eight expert judges. The ClickZ 2019 Marketing Technology Awards will take place in Tribeca, New York on Thursday, March 21. DURHAM, N.C.–(BUSINESS WIRE)–Marketers for leading consumer brands drove a 40.4 percent increase in overall profitability using Keen Decision Systems’ unified marketing measurement and optimization platform. Such bullish results fueled 100 percent client retention and more than 90 percent brand expansion in 2019 for Keen. Access the archived release on BusinessWire. Elder Research Endorses Keen: "A Novel Approach to Optimizing Marketing Mix"
CARY, NC (Aug. 23, 2018) — Elder Research, a leader in data science consulting, recently recognized Keen Decision Systems for creating an innovative, data-driven decision support tool for marketers. Elder Research evaluated Keen’s software as part of a due diligence exercise on behalf of a consumer goods client in order to ensure Keen’s methodology was statistically sound and had the ability to optimize and project results effectively. Keen’s software solution, called MIDA (Marketing Investment Decisions Analysis), is a closed-loop decision support system that includes historical measurement, what-if scenario planning, predictive forecasts, and business driver analysis with each model update. Elder Research is a recognized leader in data science consulting that partners with commercial clients and government agencies to deliver value through analytic consulting and actionable solutions to business problems. The company’s expertise is in enabling organizations to successfully extract value from their data and resources by delivering the most trusted and valuable strategy, training and analytic solutions in the industry. Keen Decision Systems’ is a software-as-a-service company whose mission is to help marketers build winning brands. Keen’s software puts the right data at marketers fingertips so they can make dynamic, data-driven decisions in real-time about the most effective marketing investments based on channel, spend and timing. Customers experience up to a 25 percent improvement in brand performance in year one using Keen’s decision support tool. Learn more: KeenDS.com, info@KeenDS.com, 919-827-1090. Follow us on Linked In and Twitter.